Conventional appeal. Suitable for any setting, the Livingston is traditionally styled with a hardwood base and gold tone metal semi-meridian. 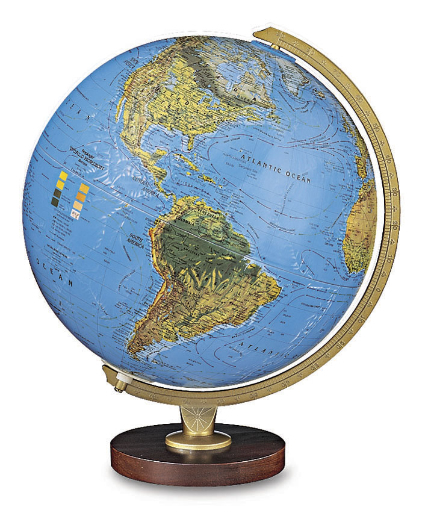 The two-way map and raised-relief design of this 30cm diameter globe provide a standard view of the physical world or an illuminated display of the political world.